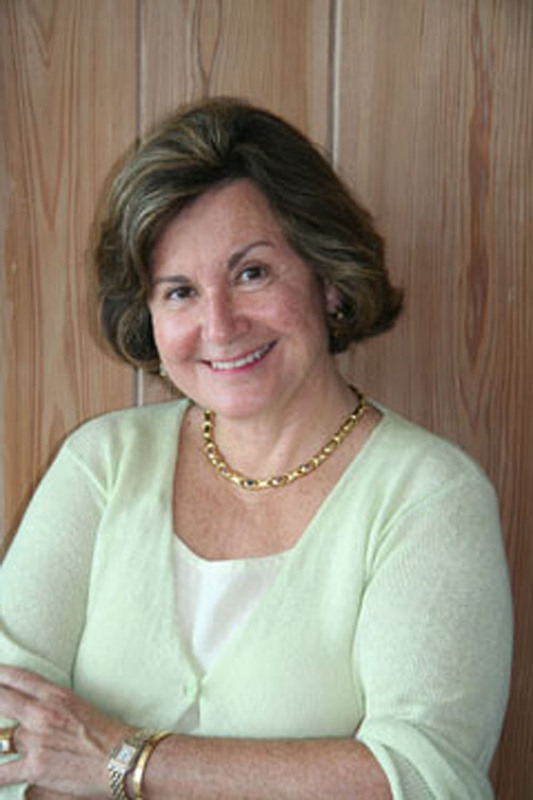 Diana Barrett founded The Fledgling Fund in 2005 after a long career at Harvard University, where she taught in both the Harvard Business School and the School of Public Health. At Harvard Business School, she was a member of the Social Enterprise core group, where she taught Business Leadership in the Social Sector as well as in various executive programs. Her areas of interest at Harvard included the use of public-private partnerships for global poverty reduction, and specifically, in addressing the social and personal burden of diseases such as HIV/AIDS. She received both her Masters her Doctorate in Business Administration from the Harvard Business School. The Fledgling Fund provides an opportunity to further those interests by focusing on innovative approaches to complex social issues including the use of media to ignite social change. In addition to leading The Fledgling Fund, Diana serves on the Boards of the International Center for Photography, the Institute for Philanthropy in the U.K. and the Social Change Film Forum at the Kennedy School of Government at Harvard University. Visit www.thefledglingfund.org. Why did you leave the world of academics and the business sector to work with social issue media? After teaching for more than 20 years at Harvard University, it became clear that while there were aspects of my job that I really loved – the constant excitement of learning new ideas, meeting new people, trying to figure out how ideas connected, and most important to me personally, how to leverage new ideas and business models to solve social problems – it was time for a change. I was beginning to feel that teaching represented too slow of a method to achieve. Sometimes while teaching you get a clear sense that you’ve had an impact, an “aha” moment, but more often than not, the excitement and enthusiasm generated in the classroom may take years to translate into social change and is dependent on students becoming change makers themselves. And, of course, I could not expect all of them to share my goals. About this same time, I was asked to see some recently completed footage about a group of children in Calcutta who grew up in a brothel, where their mothers were “on the line”. This of course was Born into Brothels, which The Fledgling Fund supported. This experience led me to think about how to apply some of the ideas I had taught at Harvard and to use my experience as an educator in a new way. I began to explore whether and how films and other creative media could be used to further The Fledgling Fund’s core mission of improving the lives of vulnerable individuals, families and communities. Over the next year or so, I met scores of filmmakers, cinematographers and producers and began to better understand just how complicated this world was and also what extraordinary possibilities existed to use compelling stories as vehicles of social change locally, nationally and internationally. How different are filmmakers from your colleagues in your “past life”? Enormously different in just about every dimension! Filmmakers are artists; they make films because they must – because it is their passion. Many have chosen social issue films because they become intensely interested in a topic, a problem, a challenge, and hopefully in a solution. Credit cards are maxed-out, friends and family are asked repeatedly for help – because, as I said, the film must be made! My colleagues at Harvard naturally understood the connection between a case or an anecdotal story and the possibility of using that case as a way of exploring issues and working toward solutions, but the impetus for moving forward was often intellectual rather than emotionally driven. I am not saying that filmmakers are not methodical and intellectual about their craft, but that the drive and the passion I believe comes from a different place. And yet, as different as their approaches may be, many of the challenges faced by filmmakers today are similar to the complex challenges that exist in other industries. How does one deal with a rapidly changing environment and new technologies that fundamentally alter business models? How does one obtain the necessary resources to launch a project and then build a sustainable enterprise? What have you learned about communicating with filmmakers? Do you have any tips for them about communicating with funders? I’ve actually had to learn a great deal. As I’ve said, while filmmakers are creative, very smart, artistic and driven, many may not be fully attuned to the way funders approach decisions. Funders, more often than not, think like businesspeople; they want to see clear goals and a project plan that outlines specific activities and deliverables linked to those goals as well as a specific budget. Ultimately, a funder wants to know what impact the film or project might have, and might even think in terms of return on investment that is measured in both financial and nonfinancial terms. Sometimes conversations about these issues can be challenging if the funder and filmmaker have different goals and because they often have different language systems. I see the concept of the “prenup” as useful in bridging this communication gap and making sure everyone is on the same page. The Prenups attempt to define broad categories of funders (please see Archetypes on pages 6-7 in the Guidelines.) What do you think of our effort? Where on the spectrum would you place Fledgling? I think the spectrum is useful as a way of giving filmmakers a sense of what a funder’s goal or bottom line is in funding a project. Although, I would add that Fledgling, and I suspect other funders, don’t fit neatly into one category. In general I would say we fit into the Responsive Strategic Media Funder. What kind of involvement does Fledgling expect or want to have with grantees? As Fledgling has evolved, so has our portfolio of creative media projects. The majority of our funding is focused on outreach and audience engagement strategies for social issue documentary films. Many of these projects leverage new media, interactive games, and other web-based tools. Our level of involvement is highly dependent on the project and its needs. When we take on a project, we consider the level of the financial and other support needed. In some cases we work intensely with grantees helping them develop innovative and strategic plans for a finished film and outreach campaign. In other cases, we provide feedback, mentoring and input at an earlier stage connecting them to other resources if necessary. In still other cases, we remain involved and track specific benchmarks but don’t play a hands-on role because we have confidence that the grantees have the skills and experience to achieve their goals themselves or they have engaged an organization like Active Voice to assist them. We want to be sure that each project has the right mix of resources to achieve social impact. How do you assess social impact? It is certainly a tough thing to do but we believe it is possible and highly important. We spent the better part of a year developing a framework that lays out how we think about and assess the social impact of our work. We look at it along several dimensions. We begin by looking at the quality of the film or media. Next we track how a project has raised awareness about a key issue, and then more importantly if it has been able to engage individuals in action around this issue. Moving beyond individual awareness and engagement we think about a project’s ability to strengthen a social movement. All of these dimensions, in our view, are critical building blocks for sustainable positive social change and we have identified some indicators that can be used to measure impact along each dimension. We share this measurement system up front with our grantees and the general public with a paper outlining the framework on our website and have integrated it into our application and reporting processes. This makes it very clear that we think the social impact of creative media can be assessed and how we plan to work with grantees to assess it. It helps to ensure that everyone is on the same page from the beginning!